Even though most people lack the stratospheric salaries of top footballers and entertainers, it’s still possible to get a taste of their luxury lifestyles, with many celebs choosing to list their cars for sale online. But how much does the kudos of having a celebrity owner add to the asking price? 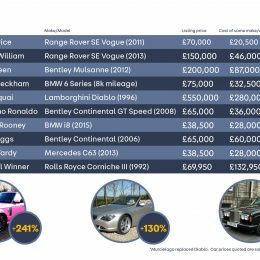 Auto Trader, the UK’s largest digital automotive marketplace for new and used cars, reveals ten of the most popular celebrity cars listed through its site and how much they were listed for, compared to their non-famous equivalents of the same make, model and year. 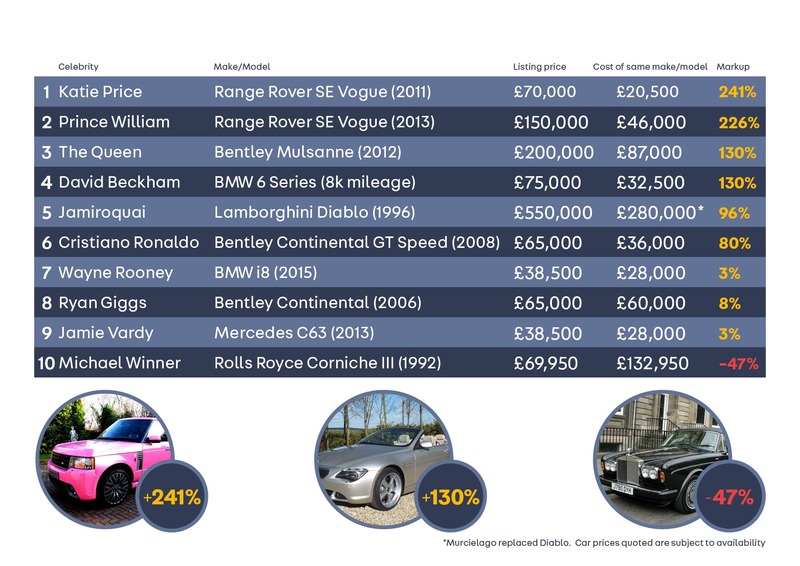 Results show that a car that has been owned by a celebrity can be listed for up to 241% more. A special edition Bentley made to commemorate the Diamond Jubilee that was used to transport the Queen to her first cabinet meeting with David Cameron, was listed on Auto Trader for £200,000, compared to £87,000 for another of the same models from that year. 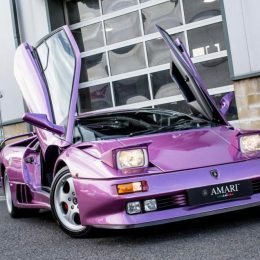 A Lamborghini Diablo that featured in Jamiroquai’s Cosmic Girl video and was owned by lead singer Jay Kay went on sale for £550,000. That particular car was one of only 16 in the world but the model that succeeded it starts at almost half that amount. The biggest mark-up for a celebrity car, however, was Katie Price’s 2011 Range Rover SE Vogue, famous for its hot pink hue and Swarovski-embellished clock, that went on sale at a massive 241% mark-up. This is followed by another Range Rover gifted to Prince William, which he used to pick-up the newborn Prince George from hospital. Despite similar models going for £46,000, his was initially listed at £150,000. Conversely, a Rolls Royce Corniche III, owned by the late film director Michael Winner, which he famously purchased to celebrate accumulating £6 million worth of debt, was listed for the relatively bargain price of £69,950. 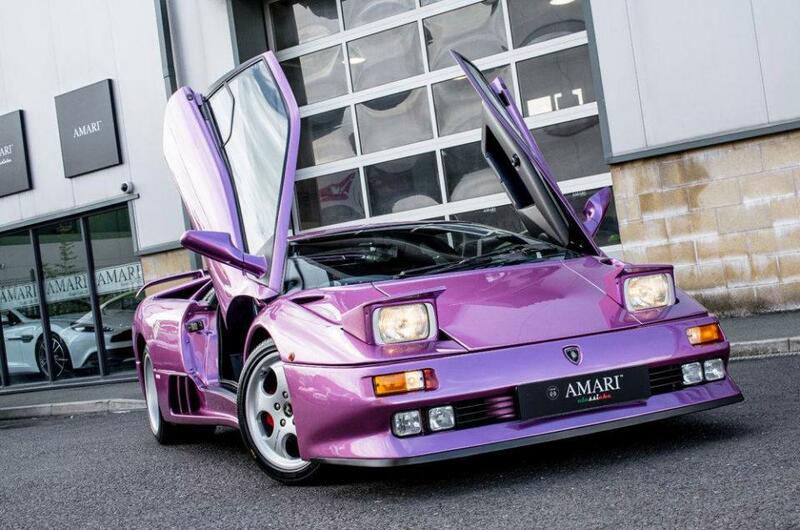 Whoever purchased it made a savvy investment, as a 1992 model now sells through Auto Trader for a cool £132,950. With Auto Trader’s car finance calculator, drivers can check which celebrity car they can afford through its unique search by monthly price feature.